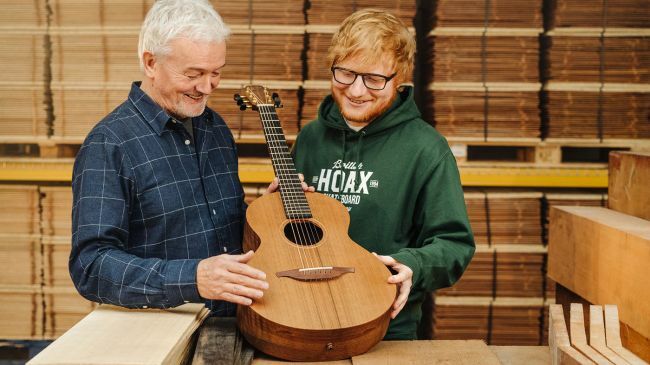 Lowden and Ed Sheeran dropped arguably the biggest NAMM story of the show, announcing the launch of Sheeran Guitars, an eight-model range of "affordable" acoustics. MusicRadar was on-hand for a demo at NAMM and can confirm that the instrument we heard sounded lively and quite airy, despite its compact body size, in keeping with Lowden’s reputation for tone. If the price is right, these could fly off the shelves. This period-correct Les Paul is a case in point: there’s real authority in its fat neck, and it just glows with fit-for-purpose build quality and a revitalised relationship with the company’s roots. Marshall's Studio series features 20W versions of some of its most iconic amps: the Studio Classic (JCM800 2203), Studio Vintage (JMP 1959SLP) and Studio Jubilee (formerly the Mini Jubilee). Chase Bliss Audio's Preamp mkII has actual motorised faders. In a pedal! A collaboration with Benson Amps, it spans boost, overdrive and fuzz with a huge range of EQ and clipping options. It's sonically and mechanically jaw-dropping, and fully deserving of our award. Audient and Two Notes Audio Engineering have joined forces to introduce the Sono, which they're touting as “the ultimate audio interface for guitarists” - and they may well have a point. What sets the Sono apart from the interface crowd is its onboard 12AX7 analogue valve and three-band tone control, plus the addition of Two Notes’ Torpedo power-amp modelling and cab simulation. If you watch the awards video, you'll notice Music Radar peeps arn't the biggest guitar and pedal geeks, so it takes around 9m30s to start talking guitars for about 10 minutes...,the Teleacoustic gets a mention and Ed Sheeran releasing a range of acoustics gets some love- otherwise they were under whelmed. Wait a sec...motorized faders on a pedal? Yeah, I think it'll cost a small amount of unobtanium but that Chase bliss preamp mkii looks amazing. I want!. They clearly missed out on a party with Chapper's releasing some pedals - I think they actually sound pretttytyy good - when you listen past the crackly cell audio.